I read this book a few months ago so my mind isn't too sharp on all the details, but for some reason I started thinking about this book today! So why not write a review about it, right? Before mentioning anything else, I should say that I wasn't to keen on this book. But hey, there are positive things I would like to say about it so let's get on to that. The characters in this book were quite well written, especially the 12 girls. I liked how unique each one of them was and how they all looked out for each other considering how their mom wasn't there anymore and how their father was away at war most of the time. Azalea, the main character, was very caring and loving to her family and I really liked that aspect of her. Overall she was a lovely main character. I also really enjoyed the Keeper and how he was articulated to be such a mysterious and intriguing villain. 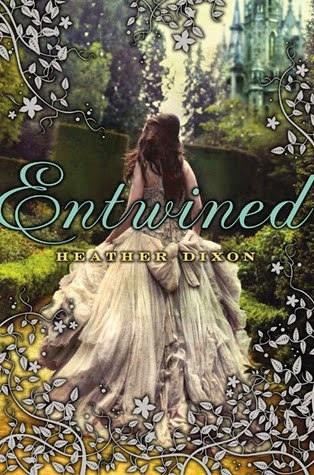 With most fairy-tale retellings comes amazing imagery and this book definitely delivered that. It's just radiating with beautiful and complex descriptions that really form a strong and compelling setting. Also, the atmosphere of the whole book was undeniably magical. Ergo, a lot of parts in this book were magical. Heck, others were pretty heart-felt if I'm being honest. As for the writing, even though it wasn't the most impressive, it was still pretty good. Clearly this book had a lot of potential. As you can see by the aforementioned things, it really wasn't a bad book. I do, however, have a lot of mixed feelings and I'm not entirely sure why. I mean, have you ever read a book and know that it was actually quite an enjoyable read, but for some reason it just doesn't click with you and you can't quite put your finger on what's keeping you from properly enjoying it? Well, this is exactly the case for me. I guess that the biggest problem for me was the fact that, all those good things I mentioned were present in the book, but in a very sparse way. There were times were I found myself consistently engrossed in the story and other times were I had to push myself to keep on reading because it could get a little bit boring. Needless to say, i feel frustrated with this book. Very much frustrated.